who haven't already signed the team sheets. If you have not already signed the team sheet you must attend to sign. Players are requested to attend on both dates. **Thursday 1st March- Interdistrict Teams + All Age Teams who haven't already signed the team sheets. Players are not required to wear training clothing/boots. These sessions will be a meet/greet the coach and information session. 2018 season U12 NET team. Wallsend Football Club is now taking expressions of interest for the youth coaching positions for our 2018 NET Youth Squads. Please include a brief resume detailing your coaching qualifications and experience. All EOI’s to be received by 10th September 2017. 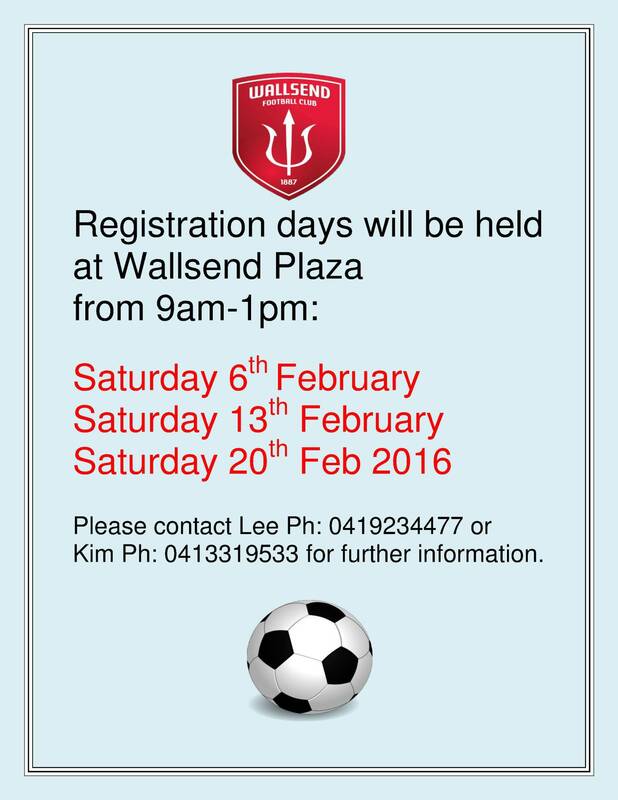 Trials will take place at Wallsend Park, off Thomas Street, Wallsend. 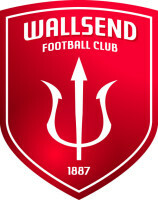 Any player interested in trialing for the Wallsend FC 2018 NET teams are requested to email your expression of interest to wallsendfc@newcastlefootball.net.au prior to Friday 1st September 2017. Please include, player name, 2017 season club, and contact details. Players who have trialed previously will need to attend this session. New players who have not trialed previously are welcome to attend. Please arrive 15 minutes prior to register. For enquiries contact Lee Hobbs on 0419234477. 2017 Season U13A grade trials will be held at 10am on Sunday 23rd October @ Wallsend Park. Please be there by 9.45am to register. For further information contact Lee Hobbs on 0419234477. 2017 Season U10,11,12 NET PROGRAM TRIALS + U13 A GRADE trials are still on today. 10am start, please be there by 9.45am to register. The Bistro has kindly donated 2 meal vouchers for us to raffle. New question format- something for everyone! It will be a fun night- can't wait to see you there!! 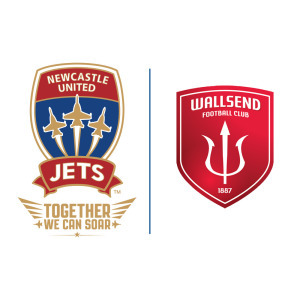 We are very excited to announce, Wallsend Football Club have been named as an Official Supporter Club of the Newcastle Jets. On the 13th March 2016 we are trialing this special honor with a club day at the Jets Vs Wanderers game at Hunter Stadium. Tickets for Wallsend FC children are free and adults just $10 with the Jets donating some of the ticket price back to the club. So lets get behind the Jets and support our club in our red and white with a fun day out. 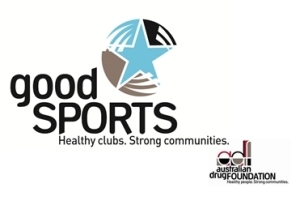 We will also be supporting one of our teams play a SSF game on the day. Kids tickets free with the purchase of 1 adult ticket. Wallsend FC are excited to announce the formation of an Under 12 Development/Elite team for the 2016 season. Team selection and coaching will be performed by 2 highly qualified and experienced coaches who have been working together for many years and will introduce themselves further at the trials. They have both coached New-FM, NPL and community football teams in recent years. The final trial session will be held on Friday 4th Feb 5.30pm. An additional session may be required; players will be advised if/when this is necessary. 5.45pm for 6pm start . We have 9 teams playing in the grand finals this weekend. Please support our teams. Wallsend Park is located on Thomas and Brooks Street in the heart of Wallsend. There are two fields situated adjacently that are used to accommodate a number of matches, both day and night, with an operational canteen between the fields to service the club’s supporters, players and visitors.The grounds are also used for training purposes, with the WFC Junior teams, Wallsend Womens WPL teams and Interdistrict Zone 3 teams utilising the fields under lights during the week. We ask that any team using the fields for training to keep off the cricket pitch when wet, and to respect the goalmouths to prevent excessive wear. Home ground of the Wallsend FC New FM 1st Divison teams.